Aside from announcing the start of another academic semester, September also marks an essential, if lesser-known, holiday celebrated since 1987: Library Card Sign-up Month. Once a year, the American Library Association (ALA)—working in conjunction with public libraries across the country—makes an effort to spotlight the essential services provided by libraries now and throughout history. But what, exactly, are the origins of the American public library? Moreover, at a time when government services are being pared down by state lawmakers, how have public libraries survived (and even thrived) in a time of economic downturn? In this month’s episode, Sara Levine, Multimedia Producer for Oxford University Press, sat down to chat with Wayne A. Wiegand, author of Part of Our Lives: A People’s History of the American Public Library, New York City Librarian Emma Carbone, and Kyle Cassidy, creator of Alexandria Still Burns, a project featuring interviews with over one hundred librarians across America. From Benjamin Franklin’s Library Company of Philadelphia to the safe haven the Sweet Auburn Branch provided to African Americans, we explore America’s love affair with the public library, tracing its evolution alongside political, technological, and demographic shifts and its adaptation to our digital era. Image Credit: “New York Public Library” by draelab. CC BY NC 2.0 via Flickr. 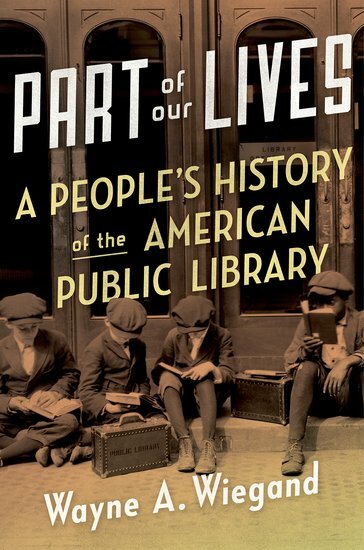 Part of Our Lives: A People's History of the American Public Library explores the history of public libraries from the perspectives of everyday patrons who cherished them not only as civic institutions, but public places that maintained community. Wayne A. Wiegand is F. William Summers Professor Emeritus of Library and Information Studies at Florida State University and former director of the Florida Book Awards. He is the author of Part of Our Lives: A People's History of the American Public Library and other award-winning books, including An Active Instrument for Propaganda: American Public Libraries During World War I and Irrepressible Reformer: A Biography of Melvil Dewey.